Does fighting demons cause you stress? Fighting demons can cause a lot of stress. 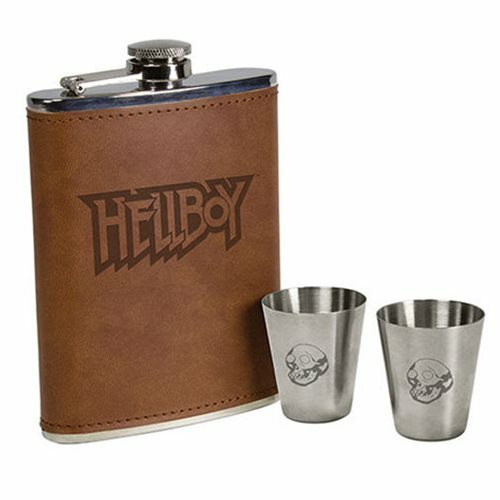 Take the edge off with the Hellboy Deluxe Flask Set! This 8-ounce stainless steel flask comes complete with a beautiful faux leather exterior, two stainless steel shot glasses, and funnel. The B.P.R.D. is busy, but you'll be ready for any mission with your flask at your side. Never go thirsty again!